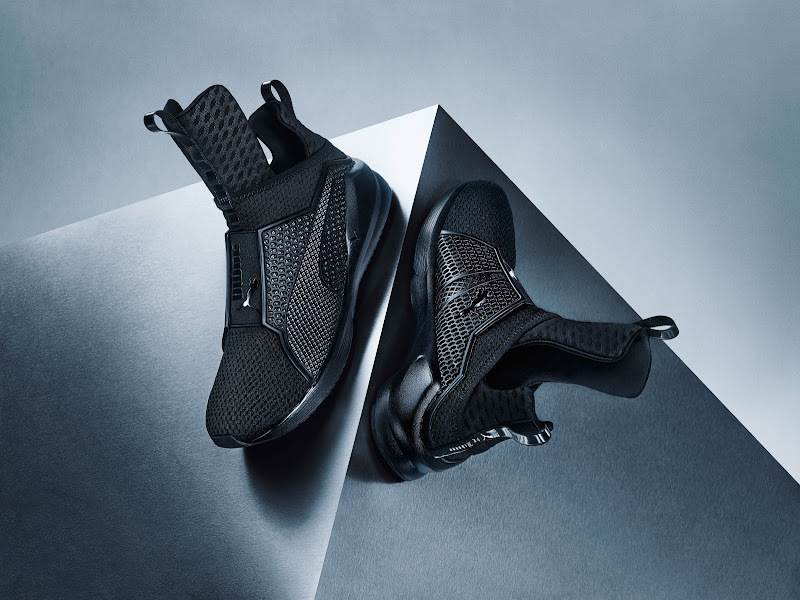 Just fresh off the runway at New York Fashion Week, PUMA and Creative Director, Rihanna, released THE TRAINER under Rihanna’s FENTY label. These sneakers as you can see below are very edgy but they don't lack in function. They were designed to have an enhance performance features such as the upper is constructed from Ariaprene, an advanced form of neoprene for a secure yet breathable fit. The solid rubber outsole pods provides full ground contact and traction without weighing you down. Here's an added bonus Rihanna herself was very hands on with designing these sneakers and made sure it reflected her risk-taking style. Rih Rih selected Black, White and Red, the only three colors for this silhouette. If you think these sneakers are dope, head over to puma.com. What do you think of THE TRAINER?